The eyes are often thought of as the windows to the soul and since ancient times the notion of the evil eye has been around. Belief in the evil eye can be traced back to Babylonian times. It has been seen all over the world and is still feared to this day. The notion reached its climax during the witchcraft panic of the seventeenth century, when many European witches were accused of the practice by ‘overlooking’ their victims. Since ancient times people with blue or green eyes have been widely supposed to be able to harm their enemies with no more than a severe look. It is often associated with women and therefore with the Crone, or wise woman. Also, anyone with eyes that looked different, like if they were deep-set, uneven, two different colours, or even a squint, were at stake of being accused of possessing the evil eye. The evil eye is the idea that some people can curse an object or person simply by the act of looking, as though the eye itself can direct a malevolent thought. The supernatural harm can come in many forms, ranging from minor misfortune to illness, injury or death. Some symptoms of illness associated to this include fever, loss of appetite, excessive hiccups or coughing and vomiting. Animals, plants, houses, cars and other objects can also be cursed. Animals may fall ill, plants may wither and die, houses could get leaks, cars can break down, etc. 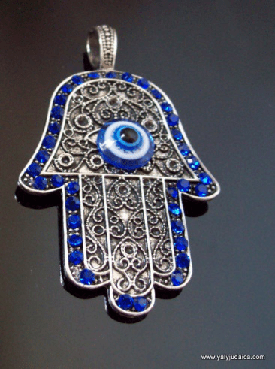 All sorts of small problems could be traced to the evil eye. This can of course lead to paranoia and worry. 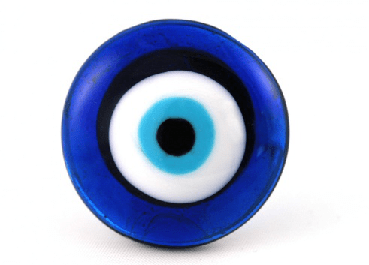 Due to this many people still believe in the power of the evil eye. And in the past, before scientific explanation, the evil eye was the ‘cause of much destruction’ and people like shamans and witch doctors were called to remedy curses caused by the evil eye. While the owner of the evil eye did not necessarily need to be a witch, the curse would require someone magical to remove it. The word ‘orth’ was used for an ordinary spell but a ceremonial magical spell among the Celts was signified by the word ‘bricht’ which also means ‘bright’ in dialect, and some suspect that this involves a ceremony using a moonlit night. Using coral, red ribbons, horse-shoes and necklaces of betony leaves. For children it was believed they could be protected if you held them upside down for a few moments every morning. You could also protect your child by bathing them in the water where a silver coin borrowed from a neighbor would be placed. Many people actually wear jewelry that protects against the evil eye without even knowing the meaning behind it.